Over 80% of adults experience back pain in their lifetime. 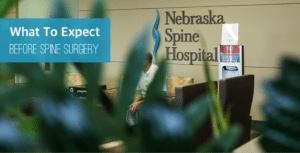 The hope is that conservative treatments will be effective, but when surgery is indicated, Nebraska Spine Hospital is here to provide you the very best in spine surgery. We want to provide you a calm and peaceful experience and make sure that you feel comforted and cared for. 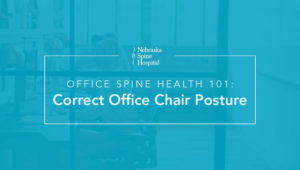 Learn about your stay and our procedures at Nebraska Spine Hospital and view our patient resources. 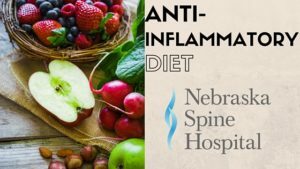 Prior to surgery you will have a variety of preoperative tests, either at your primary care provider’s office or at the Nebraska Spine Hospital. We will make sure you have the resources and information you need to continue your recovery after discharge. When we think of back pain, generally, we tend to to think of the lumbar spine, or lower back, and cervical spine (the neck). 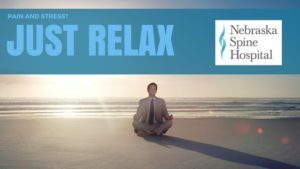 Both of those common areas of the spine are designed to provide you with mobility but, the thoracic spine, or upper back, is designed to be very strong and stable and allow us to stand upright while protecting the vital internal organs of the chest. Welcome to 2018! 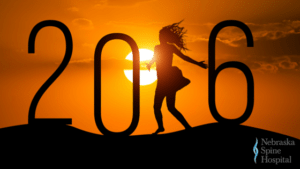 Now that we’re in the new year, it’s time to make a resolution. 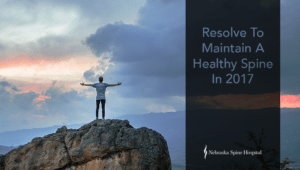 But before you decide on what your resolution will be, we want you to consider one thing – your spine health. 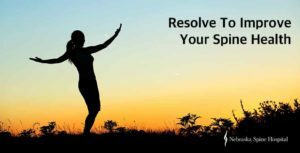 Why not resolve to improve your spine health in 2018? 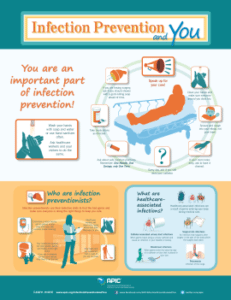 In light of March being the home to Patient Safety Awareness week it is relevant to discuss the things each and every patient can to do for infection prevention. These tips are courtesy of the Association for Professionals in Infection Control and Epidemiology. 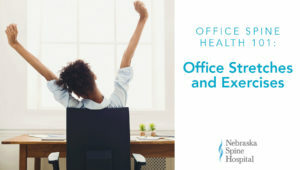 Modern Healthcare magazine reports that in 2013 93% of Nebraska Spine Hospital HCAHPS survey respondents said that they were given information about what to do during their recovery at home. 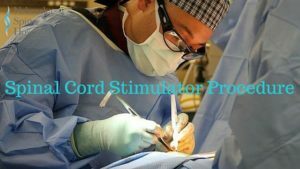 How is cervical spine surgery done? Cervical spine surgery is performed to treat spinal instability and/or spinal cord impingement. The cervical spine is the seven bones of your neck, which are separated by discs. 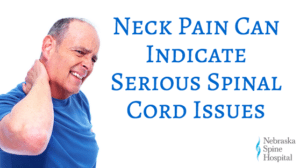 The discs allow the neck to move freely, and to absorb shock during activity. Cervical spine surgery is for patients whose symptoms are beyond physical therapy and medication. When dealing with deformities or vertebral tumors, surgery to treat such patients is very complex. The more complex a spinal surgery is, the greater the risk is to neurovascular structures. 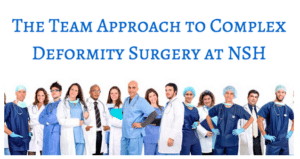 These surgeries require highly skilled doctors and nurses working together in a team approach. 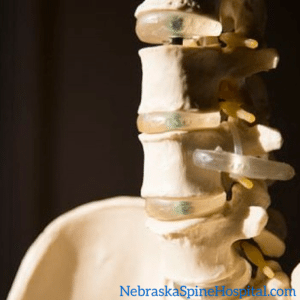 Spinal fusion surgery is one of the most common surgeries we do here at Nebraska Spine Hospital. In fact, it’s one of the most common spinal surgeries period. 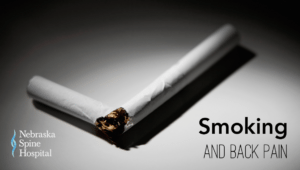 You might be surprised to find out a very common reason that non-fusion occurs –smoking. Nebraska Spine Hospital is proud to support National Scoliosis Awareness Month. 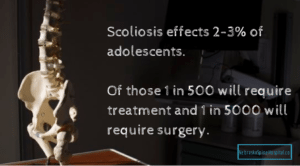 June is used to supply information about scoliosis to the public, while highlighting the growing need for education, early detection, and public awareness of the physical, emotional, and economic impact of the condition, and provide support and hope to all people affected by scoliosis. 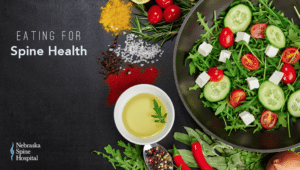 In recent years, the medical field has realized the significance that the mind can have on the body. 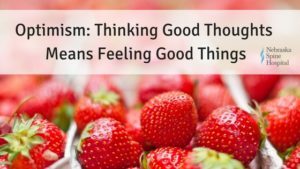 The relationship between feeling good and thinking good is very strong. 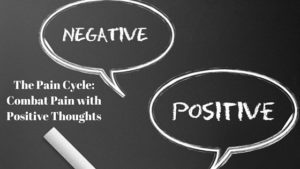 There are some incredible health benefits to be gained from doing this one simple thing: thinking positively. In fact, positive thoughts can reduce chronic and acute back pain. 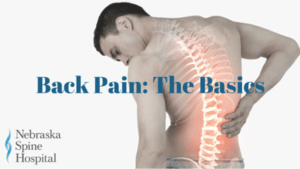 Back Pain: There may be an easy remedy! What Are Some Causes Of Curvature Of The Spine? When you look at a normal, healthy spine from the side it should show vertebrae stacked with the discs with gentle curving. If you are looking straight at it from a back view it should be nice and straight from the neck all the way down the back. I have a particular interest in disc surgery, whether its cervical or lumbar. It’s something I’ve done very well and have had very good results with for a long time. The human body is designed to stay in motion, not for long periods of rest – and the same holds true even if you’re suffering from back pain. 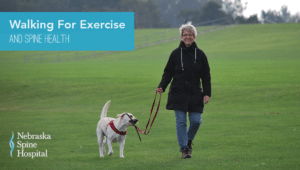 Remaining active is important for everyone, which is why we prescribe the majority of our patients regular low-impact aerobic exercise for back pain. Aerobic exercise helps keep the body healthy by increasing your heart rate and improving circulation. We would like to congratulate Elizabeth “Liz” Nissen for being named the Positive Image of Nursing Award recipient for Nebraska Spine Hospital. 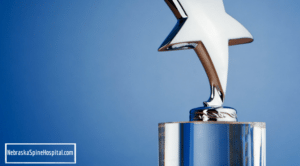 The Positive Image of Nursing Award is a recognition and award program facilitated by the Nebraska Nurses Association to commemorate National Nurses Week. While back pain is incredibly common in adults, back pain in kids isn’t. Kids’ spines are much more resilient and flexible than adults’ since they haven’t endured years or wear and tear. That being said, it’s still incredibly important to understand more about back pain in kids and the common causes. 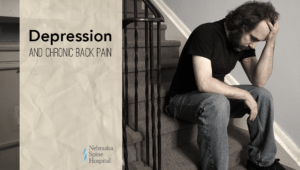 Dr. John Hain of the Nebraska Spine Hospital explains how spinal stimulators work to relieve back pain. 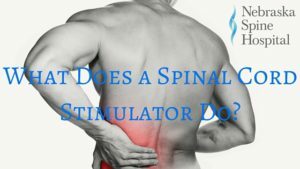 A spinal stimulator that is a device that is place directly over the spinal cord thats blocks the electrical impulse that the brain interprets as pain from reaching it’s destination. 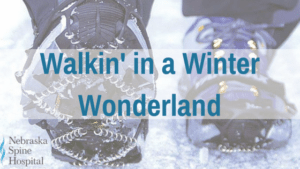 ‘Tis the season for family, food, shopping, and inclement weather. So far, the winter here in Nebraska has been mild at best, but icy conditions are sure to come soon as they always do. 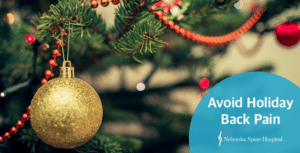 It’s the most wonderful time of the year, but it also can be the most dangerous. 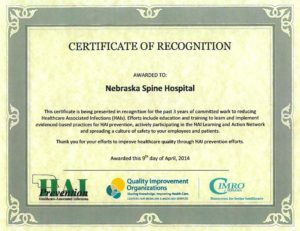 Nebraska Spine Hospital is proud to be recognized for a sustained commitment to reducing Healthcare Associated Infections by three healthcare quality organizations in Nebraska. 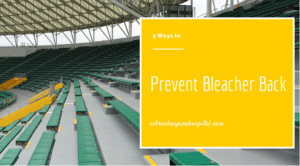 The recognizing organizations are the Nebraska Association of Healthcare Associated Infection Prevention, the Quality Improvement Organization CMS, and CIMRO of Nebraska. 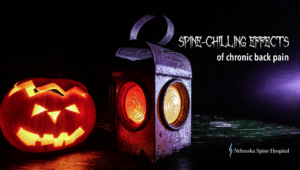 The study of the spine in medicine is a rapidly evolving field. There have been fantastic advances in implants, procedures and the tools we use every day to repair or improve spinal conditions. Probably the most important of these advances in the last thirty years has been the introduction of the pedicle screw. 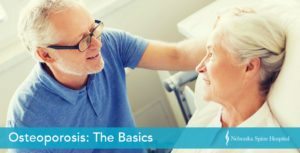 If you are the caretaker for someone suffering from chronic pain or illness, you know that it is rewarding and necessary, even if it takes a toll. We know that many of our patients want or need some assistance at home after surgery, and it’s usually a family member who is the one to help. 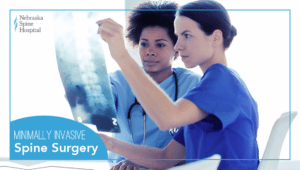 Since we know that many of our patients have never undergone spine surgery, we try to always communicate what to expect before spine surgery. 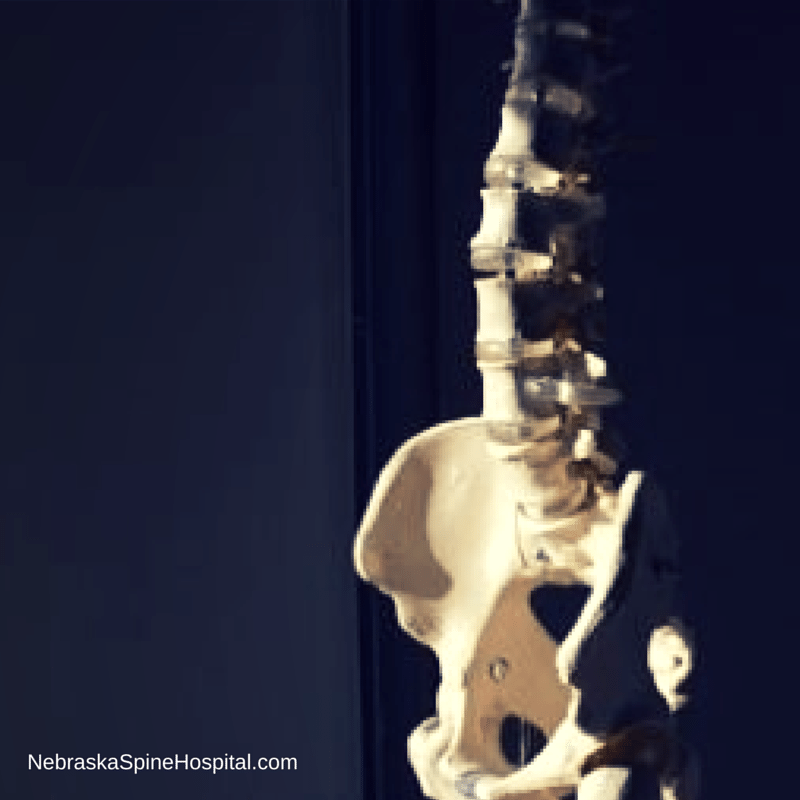 Please keep reading to discover what happens before your spine surgery at Nebraska Spine Hospital. Gardening is a summertime activity that many of us look forward to. Gardening is a great way to spruce up your home, get outside and stay active. 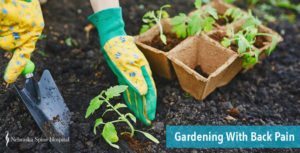 In fact, did you know that gardening activities like pulling weeds, trimming and planting can burn 200-400 calories/hour. The downside can be that stiff backs and injuries can happen when we aren’t careful in the garden. 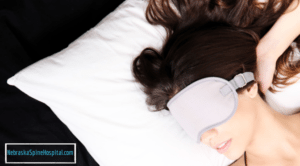 Neck pain is fairly common during sleep. Luckily, there are ways to minimize that pain, or eliminate it altogether. The kind of pillow you use, along with what position you sleep in, are likely causes of neck pain. In general, pillows should support the natural curve of your neck, maintaining the position of your neck when standing with good posture. 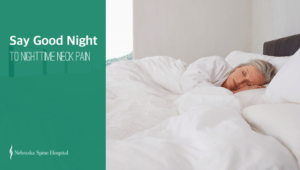 In our last blog, we discussed the relationship between back pain and sleep. 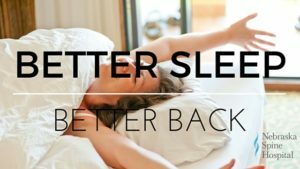 As promised, today we’re going to discuss how to get better sleep to help alleviate or prevent back pain. As a quick recap, back pain not only affects your ability to fall and stay asleep, but also the quality of your sleep. 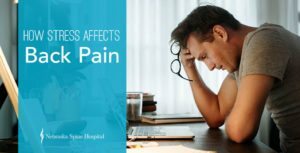 Is your pain worth a trip to the doctor? 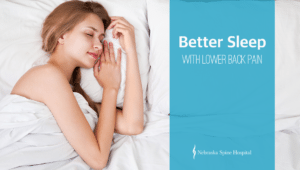 Many of our patients complain of difficulty sleeping with back pain. This fact alone is to be expected. Many studies have found that back pain not only interferes with falling asleep, but staying asleep as well. 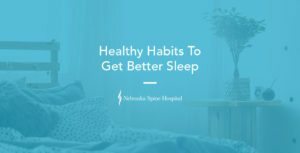 What many of our patients don’t realize is that lack of quality sleep can actually contribute to their pain. Throughout your entire life, you have been taught that good posture is essential to your health. How many times have you had someone tell you to stand or sit up straight? Probably too many to count. 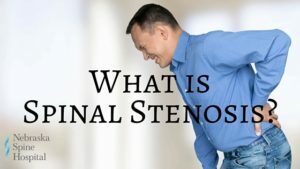 Have you ever heard of spinal stenosis? If not, it’s about time you learned the basics of this common spine condition that affects an estimated 8-11% of the population. 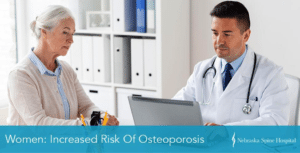 Since most cases are degenerative, individuals over 50 years old have the highest risk of developing the condition. In short, spinal stenosis is when the spinal canal begins to narrow. 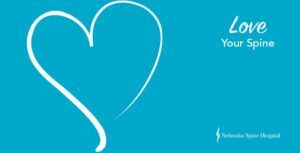 Because June is scoliosis awareness month Nebraska Spine Hospital is working to share basic facts about scoliosis. 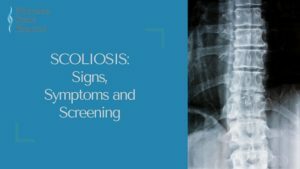 According to the National Scoliosis Foundation at www.scoliosis.org, scoliosis affects 2-3% of the population, or an estimated 6 million people in the United States, and there is no cure. 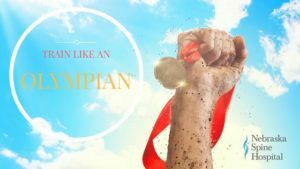 This weekend, the Summer 2016 Olympics will kick off and we will see the world’s finest athletes compete for a gold medal. Many of these athletes have incredible conditioning and workout routines to prepare them for competition. Leading up to competition, they focus on diet and exercise. Ever wonder what some of their secrets are? Disc degeneration in the cervical spine is a terribly common ailment. Did you know that over 75% of people under the age of 50 have disc degeneration? 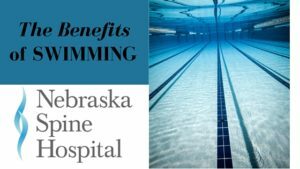 The Nebraska Spine Hospital was one of the first facilities in the region to perform a cervical disc replacement. 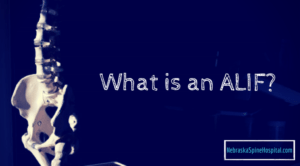 Because of that, we would like to take a moment to explain what exactly it is and why it may need to be performed. One of the most common causes of neck pain is simply looking down too often. We know that might sound absurd. 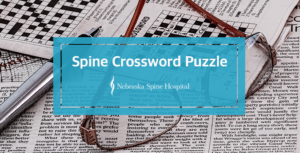 In the spirit of Crossword Puzzle Day, we created a spine crossword puzzle with the terminology we use every day. 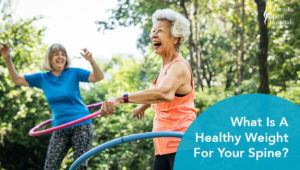 Not only is it a fun activity that can help pass the time in a waiting room and sharpen your memory, it can also help if you or a loved one is experiencing back pain. 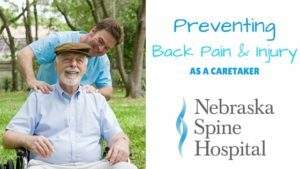 We have a lot of family members of patients ask us what they can do to prevent back pain. While it depends on the cause of pain, we generally advise that they can ward off back pain with exercise and proper posture. Believe it or not, one of the best forms of exercise to help prevent back pain and injury is weight training. 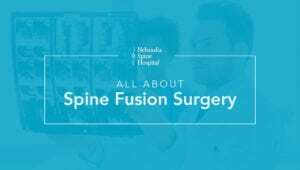 What kind of doctor should I see for Spine Surgery? 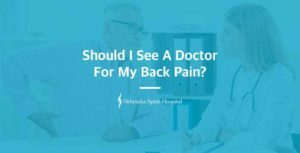 Often when a patient is experiencing back pain and considering spine surgery a common question is “should I see an orthopaedic spine surgeon or a neurosurgeon?” At Nebraska Spine Hospital we have both orthopaedic spine surgeons and a neurosurgeon. 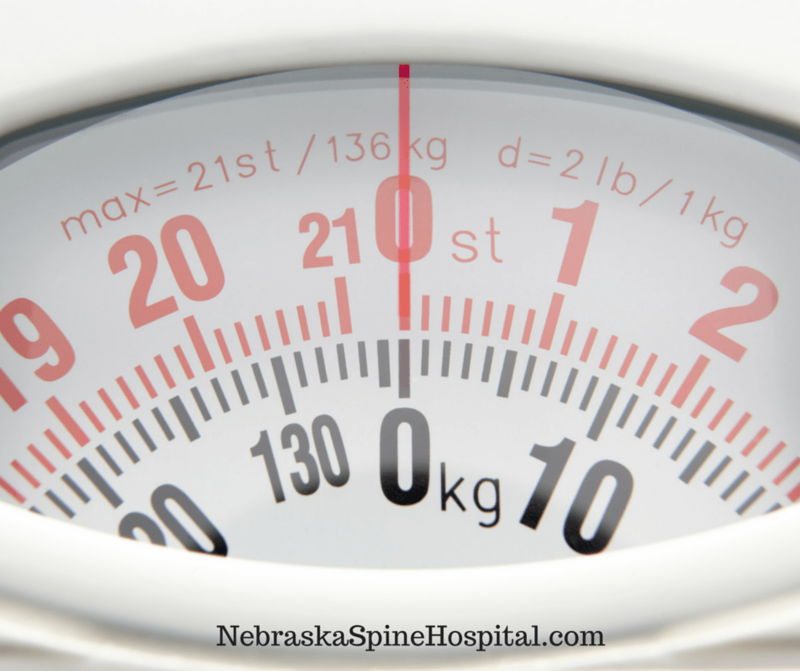 At Nebraska Spine Hospital all of our surgeons are board certified and have had special training in spine surgery. 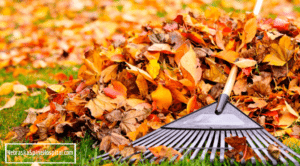 Avoid back injury as you finish up your fall chores before winter sets in with these three tips. 1. Warm up- Never lift a heavy load after a long period of inactivity. Warm up with a quick walk and some simple stretches. 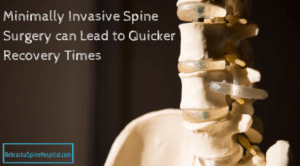 Minimally invasive spine surgery is a great option for many patients. As opposed to open spine surgery, it can be faster, safer, and require less time for recovery. This type of surgery also limits the size of the incision and utilizes a microscopic video camera to gain access to the patient’s spine. There is no shortage of myths circulating about back and neck pain. Unless you are a healthcare professional, it can be hard to distinguish the truth from all of the myths. Below, we’ve compiled some of the most popular myths we think you should be aware of, but keep in mind it is by no means an exhaustive list. No one wants to experience pain over the holidays. 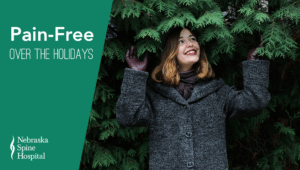 In our last blog, we covered how to manage your holiday stress to help reduce back pain. Unfortunately, not all back pain is caused by stress. 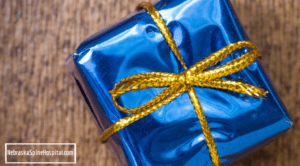 The truth is that the holidays are the perfect storm for developing back pain. 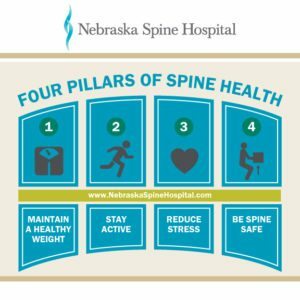 It is easy to talk about all of the things that make Nebraska Spine Hospital the best choice for spine surgery in the region. For example, the spine only specialization of the hospital and its staff, the expertise of our surgeons, and the awards and recognition we have earned. The most important praise we receive is from our patients. 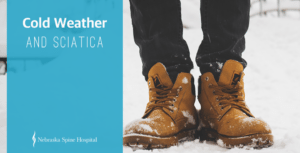 Many people we talk to with sciatica swear their pain worsens when the temperatures drop. 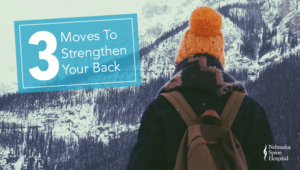 Is cold weather and sciatica pain just a coincidence or is there solid evidence to support the increased pain? 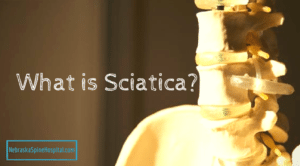 It’s a little of both, but before we get into the reasoning, we want to take a moment to refresh you on what sciatica is. “Oh, my achin’ back!” isn’t something you’d expect to hear from your child. 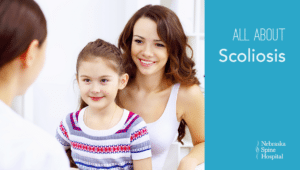 Youth can be a benefit when it comes to your back health; but, there are some things that parents should be cautious about when it comes to their child’s back. 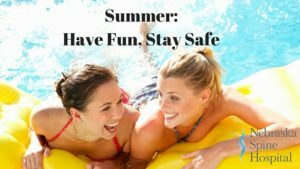 Though the weather in Nebraska has been uneasy, even on the nicer days, you may not want to exercise outdoors. Snow melted, ice-covered sidewalks, and muddy parks make for an annoying workout. Luckily there are several ways to stay active even when stuck indoors! 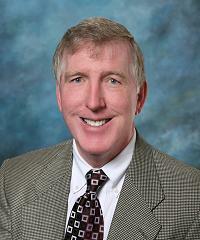 Dr. Woodward of the Nebraska Spine Hospital talks about our hospital within a hospital. 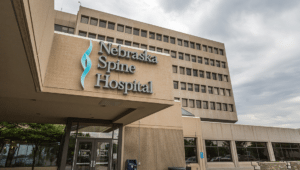 Encompassing 34 acute care beds, six surgical suites and one treatment suite, Nebraska Spine Hospital offers all the benefits of a stand-alone specialty hospital. Yet, its location, within Immanuel Medical Center, provides further assurance for patients with additional medical conditions beyond the spine – eliminating the need for lengthy patient transport by ambulance or helicopter. Spondylosis is a spinal condition that involves stress fractures that develop in children and young adults. This particular condition is often seen in athletes. 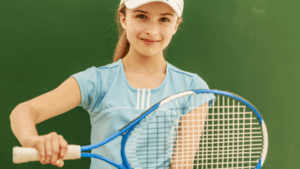 Even middle and high school sports can create and exacerbate this condition, especially when the child or young adult focuses on one sport only. This focus can mean that the same injuries occur repeatedly. 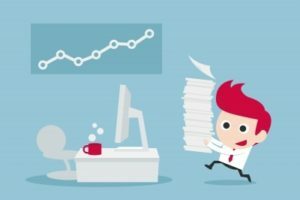 We all have been there before, “I’m just too busy to workout.” Between work and family, there’s often little time left for ourselves. It probably doesn’t need to be said, but we’ll say it anyway, exercise is important. 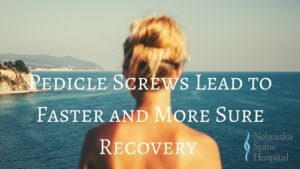 When it comes to surgical recovery, being healthy can help you get back to your normal self much more quickly. Golf is an excellent form of low impact aerobic exercise, especially if you walk the course as opposed to using a golf cart. 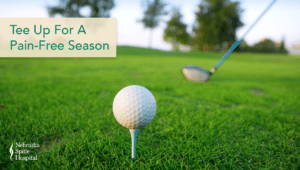 But did you know that golf and lower back pain have an undeniable link? Lower back pain is by far the most common ailment of golfers, regardless of their age. There are countless fitness magazines, blogs, articles, and websites that talk about healthy weight and what’s acceptable and what’s not. We are inundated with information obsessing over the human body and what looks good. Lumbar spondylosis refers to degeneration to the spine of the lower back. 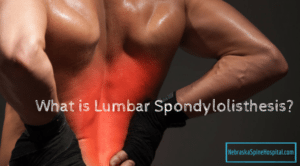 According to spine-health.com, “Spondylosis is not a medical diagnosis; it is a term that describes symptoms related to degenerative changes in the spine.” It is used as a descriptive term, describing the type of pain and spine degeneration that a patient may have. We know you can still hear it like it was just yesterday – your mom advising (not nagging) you to do certain things while you were growing up. If you don’t eat your vegetables, no dessert! No coffee – it will stunt your growth. If you keep making that face it will get frozen like that. 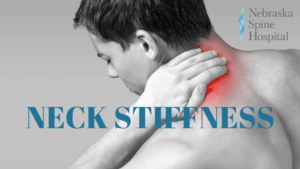 Pain and numbness going down the arm or leg or the feeling of a loss of grip can be the result of injury, disease, or degeneration in the cervical spine. If you are suffering from pain and discomfort it can be helpful to understand the anatomy of the cervical spine. 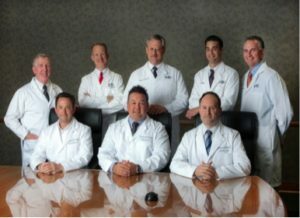 In honor of National Doctor’s Day on March 30th we will be recognizing the experience and expertise of our surgeons by posting a video series featuring many of our surgeons. In the videos our surgeons tell their story of why they dedicated a decade and a half to gaining the education, training, and skills necessary to become board certified and fellowship trained spine surgeons. 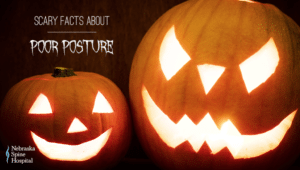 With Halloween right around the corner, we thought we’d get into the spirit and spook you with some facts about poor posture. Trust us, the side effects of poor posture aren’t pretty. But before we get into the scary details, let’s cover what proper posture is. Stand up straight with your hands at your sides. 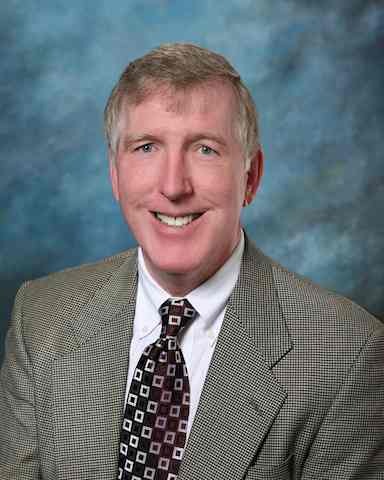 Dr. Brian Gill discusses why the spine specialty hospital model provides better care for patients. 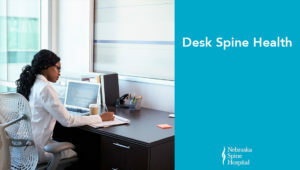 The spine hospital is the only hospital in the region that all they do is spine care. 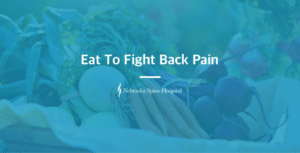 Spinal tumors can be a scary thing, but the doctors and nurses at Nebraska Spine Hospital aim to alleviate those fears with patient education and speedy treatment. There are different types of spinal tumors, each type with its own treatment options. 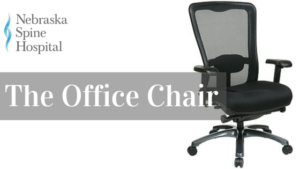 Happy Administrative Professionals Day! 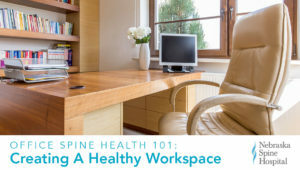 In honor of all of the desk dwellers out there we would like to share a few tips on how to prevent back pain while sitting at a desk for hours at a time. Strength training- we all know we need it, but after certain injuries or strains, it can be hard to get started. 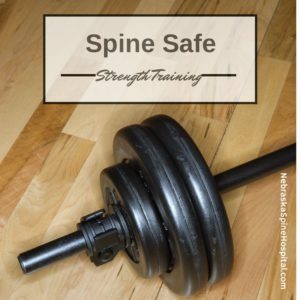 There are several things to remember when while strength training to keep your spine healthy. Exercise is a wonderful thing. It helps keep your entire body healthy, including your spine. If you’re like a lot of our patients, the cold weather can discourage you from sticking to your normal workout routine. 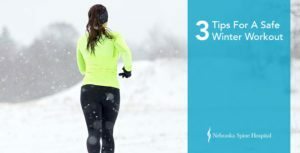 We have some motivation to get you moving and a few tips to ensure you have a safe winter workout. The College World Series means a lot of things like Zesto’s, tailgating, home runs, and back pain from hours spent sitting in the bleachers. 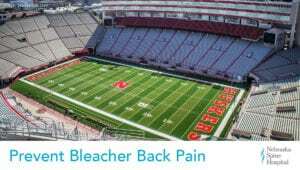 The awkward position of stadium seating with no back support and the knees above the hips can lead to a case of painful Bleacher Back. Our bodies change with age and with change can often come challenges; challenges in recognizing when our body is trying to tell us something, perhaps. Do you suffer from pain and numbness in the legs? 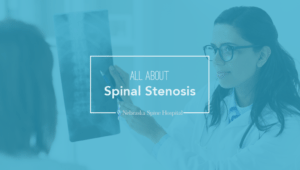 While pain and numbness in the legs could be the result of many things, one thing Nebraska Spine and Hospital does not want you to rule out is spinal stenosis. 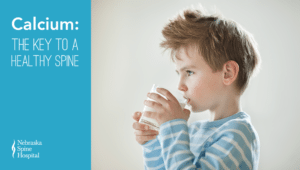 According to the American Academy of Physical Medicine and Rehabilitation, pediatric pars fractures occur in children involved in “repetitive bending and straightening of the spine. They are generally self-limited and get better with rest followed by rehabilitation.” Pars fractures, also called lumbar spondylolysis, can affect 30% of adolescents, especially if they are involved in sports. Would you believe it if we told you that simply using shoe inserts could help alleviate your lower back pain? 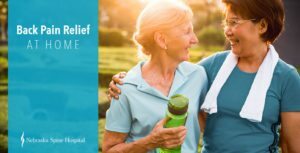 It’s time to start believing because foot orthotics and lower back pain have a proven link. 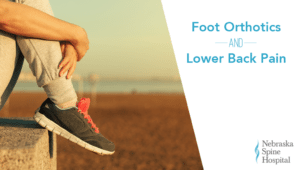 Research has shown that foot orthotics (shoe inserts) can help manage lower back pain, depending on the cause of the pain. Chronic back pain is often the result of your profession. 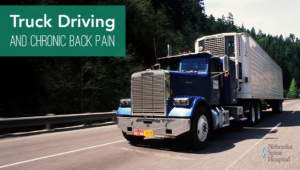 Did you know that 25-40% of all truck drivers suffer from chronic back pain? So, why do so many truck drivers suffer from chronic pain? 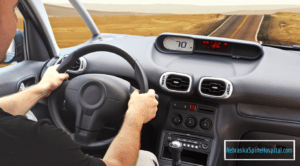 Mix long hours in the driver’s seat with a body part designed to be in motion, and you have the perfect recipe for pain. With Valentine’s Day right around the corner, we think it’s only fitting to talk about how to love your spine. 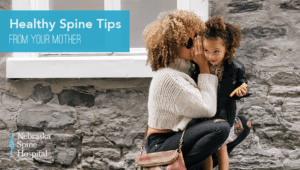 We know it sounds strange, but showing your spine a little love in a few small ways can have a big impact on your spine health. So, this Valentine’s Day we encourage you to love yourself by implementing just one of these small changes. Exercise is incredible for keeping your body healthy. But we’ve had more than a few patients tell us how difficult it is for them to exercise with back pain. 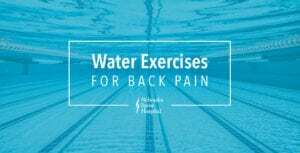 So, we’ve decided to put together a few water exercises for back pain. 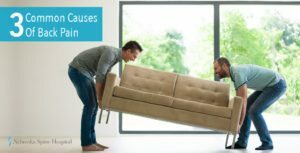 Back pain varies greatly on a case-by-case basis. Even if two of our patients have the same spinal condition, their experiences differ in terms of pain intensity, manageability, and timing of flare-ups. 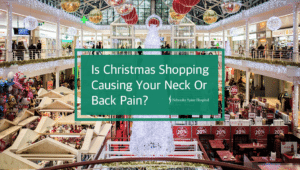 Is Christmas Shopping Causing Your Neck Or Back Pain? We’ve all heard that heavy backpacks can cause serious health problems, but did you know heavy purses can, too? Sure, you may have noticed that after a couple hours of shopping, your purse seems to weigh three times what it did at the beginning of the trip. When you’re discharged from the hospital, you’re going to have nurses involved, possibly Case Management if you’re not making it home. 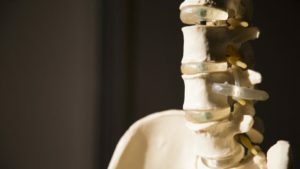 The terms ‘herniated disc’ and ‘bulging disc’ are sometimes used interchangeably, but they are actually two different conditions. A herniated disc happens when there is a crack on the outer layer of the disc. A bulging disc occurs when the nucleus or center of the disc squeezes into the cracks of the discs outer covering. Spondylosis refers to a degenerative process affecting the vertebral disc and facet joints that gradually develops with age. 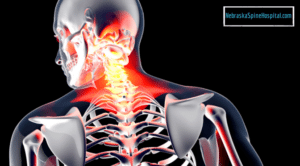 A common form of spondylosis is cervical spondylosis (sometimes called neck arthritis) in which the facet joints in the neck become enlarged causing the ligaments around the spinal canal to thicken and bone spurs to form. For more videos, like our Facebook page! 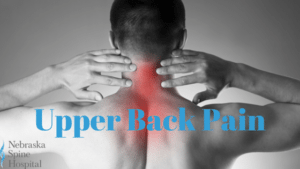 Some of the most common questions we get asked are regarding back pain relief. And that makes sense – back pain is the second most common reason for doctor’s visits, only outnumbered by upper respiratory infections. Luckily though, most cases of back pain aren’t caused by serious conditions. So, how can you get back pain relief at home? The spine hospital has been a great addition to our community and to our region. 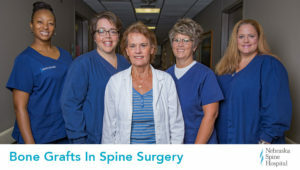 The spine hospital has specialty nurses that make it great. 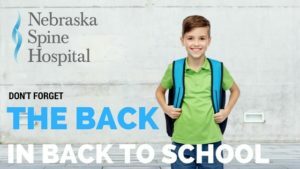 This list is developed for inclusion based on national rankings and awards from multiple organizations and institutions including: The U.S.
Several doctors at Nebraska Spine Hospital are members of the Scoliosis Research Society. 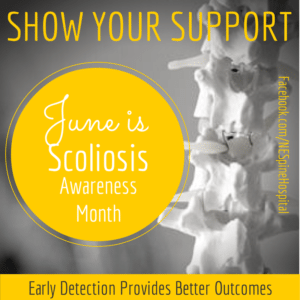 The SRS has declared June, Scoliosis Awareness Month. What does that mean, and why is there a month dedicated to raising awareness of this disorder? 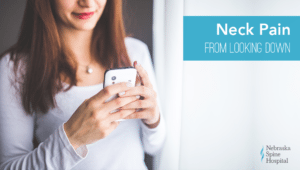 We’ve noticed a trend in all of our most recent blogs; we keep urging you to remain active and add some workouts to your daily routine. 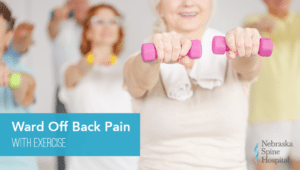 While that’s easy for us to say, sometimes it’s hard for those of you suffering from back pain to know which exercises are safe for you to perform. 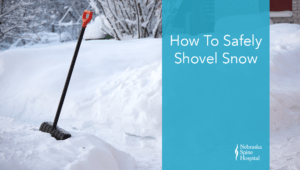 Injuries sustained while shoveling snow are a common but preventable winter problem. Would you believe us if we told you that as many as 11,000 people visit a hospital every year for injuries that occurred while shoveling snow? The most common injuries experienced include back problems, broken bones, head injuries, and heart problems. Pregnancy back pain is incredibly common – half of all pregnancies are complicated by back pain. Of those, 10% of pregnancies are complicated by back pain so severe that it interferes with the ability to complete daily activities. It’s a well-known fact that the body goes through many changes during pregnancy, but back pain should not be accepted as a natural part of pregnancy. According to AAA 86% of Americans are planning to take a final road trip this Labor Day weekend. Unfortunately, low back pain can sometimes result after long hours spent driving. 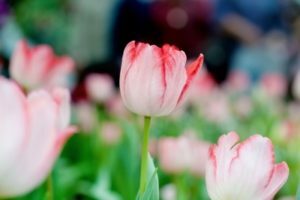 Now that spring has finally sprung, garden lovers are starting to prepare for the season. 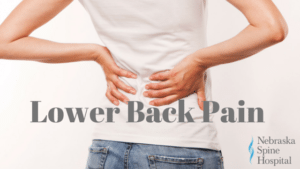 Have back pain? 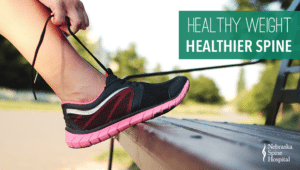 You may be worried that all physical activity may cause a flare-up, but don’t fret! 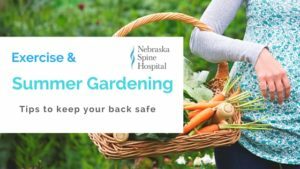 Gardening with back pain is entirely possible with the help of a few tips. Some gardening activities can be considered vigorous exercise. Low back pain can make it difficult to find a cardiovascular exercise that’s effective. You want to get your heart pumping, but not at the expense of hurting yourself. One great cardio exercise that’s easy on the back is bike riding! 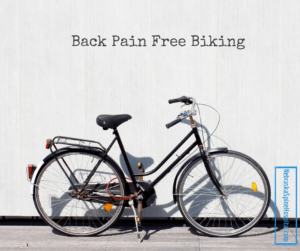 Riding a bike doesn’t require a lot of movement from your back. 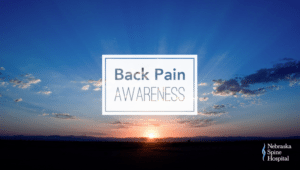 Over 80% of adults experience one or more episodes of back pain in their lifetime. First, your child’s backpack shouldn’t weigh more than 10 percent of your child’s body weight. You can check the weight of the fully loaded pack on the bathroom scale. Protect your child’s spine by loading their backpack correctly and making sure they wear it right. 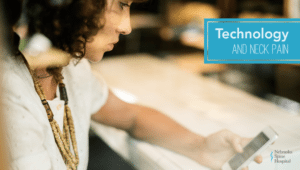 Backpacks that are too heavy or worn incorrectly can result in an aching back and shoulders, tingling arms, weakened muscles, and stooped posture. Remember- Pack It Light, Wear It Right! 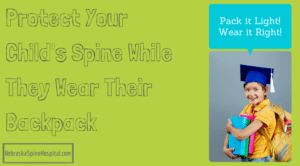 Help protect your child’s spine by following these tips and packing their backpack right. 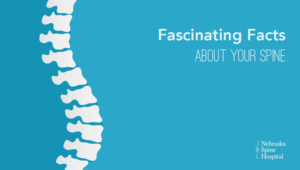 While the human body as a whole is fascinating, have you ever thought of how amazing your spinal column is? Your spine is able to support your body weight, provide flexibility, and protect your spinal cord. 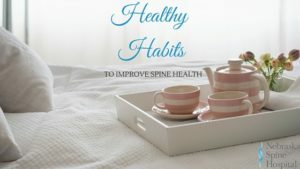 We thought it was about time we share with you why we decided to devote our lives to the spinal column. 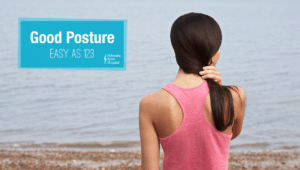 Maintaining proper posture can work wonders both preventing and alleviating back pain. We’ve already covered how to achieve great posture while standing and believe it’s time to cover sitting posture. Did you know that September is National Yoga Month? 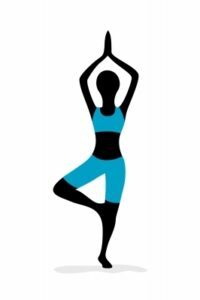 Yoga can be extremely beneficial for those experiencing back pain, including occasional soreness and chronic pain. 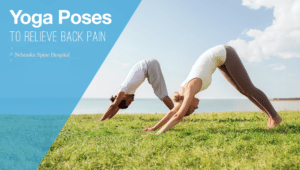 However, people with severe back pain should not attempt to use yoga for symptom relief. And remember, it is always a good idea to consult your physician before beginning a new fitness regimen. 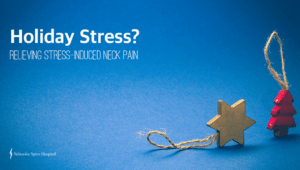 What Can Be Done to Treat Neck Pain? 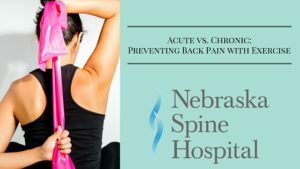 Dr. John Hain of Nebraska Spine Hospital discusses what can be done to treat neck pain and some common causes of neck pain and common procedures used to treat neck pain. The majority of people suffering from chronic pain have trouble either falling asleep or staying asleep. 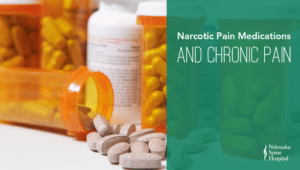 It makes sense; chronic pain makes it difficult to get comfortable and who can regularly fall asleep when they’re experiencing discomfort? 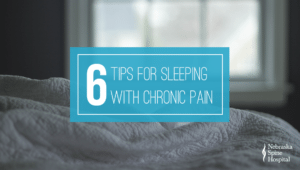 The trouble is that poor sleep can actually worsen your chronic pain, which in turn makes it harder to sleep. 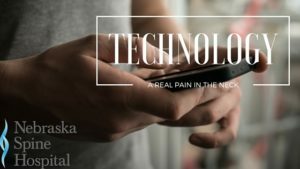 Neck pain is somewhat common, so many of us will simply take over the counter medication, and work through the pain and discomfort. Our doctors would strongly urge you to consider locating the source of the pain before dismissing it. 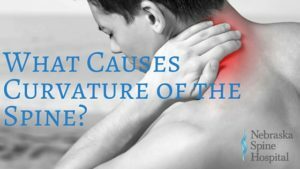 Neck pain can be an indicator of serious spinal issues. 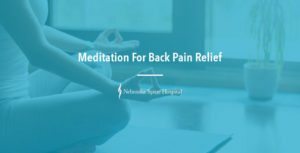 Several recent studies have found meditation for back pain relief an effective treatment. 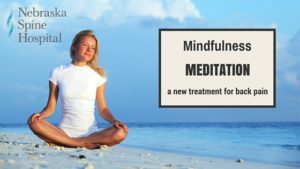 One of the most noticeable differences between meditating for back pain relief and other treatment options is that with meditation, you aren’t having something done to you like a surgery. Instead, you’re doing something for yourself. 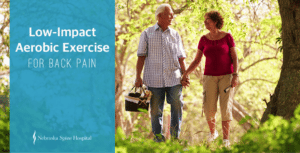 Participants’ perception of pain significantly decreased after just three 20-minute sessions. 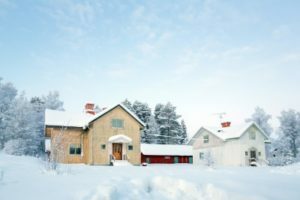 “Patients have full and busy lives and they can’t waste a lot of time sitting in examining rooms, sitting in waiting rooms, waiting for appointments, hoping to be seen soon, all the while suffering. We want to be able to take care of these patients immediately and responsively. Back pain is incredibly common – 4 out of 5 people will experience back pain at some point in their lifetime. 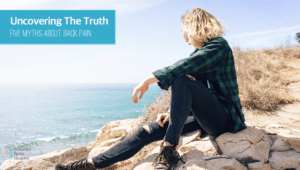 There are many different ways to protect yourself, but the best place to start is by knowing the common causes of back pain. Once you know what to look out for, you can be proactive in preventing back pain. We’ve often found that recovery from spine surgery is the last thing on our patients’ minds, especially any preparations that will have to be made at home. Because of that, we try to bring it to their attention during pre-operative visits by asking questions. We’ll ask about the setup of their home. Is it a one-story or two-story home? Join us in welcoming Chase Woodward, MD, MPH, the newest orthopaedic spine surgeon here at Nebraska Spine Hospital. He is a fellowship trained and Board Eligible Member of the American Academy of Orthopaedic Surgeons and the North American Spine Society, as well as a Fellowship Candidate in the Scoliosis Research Society. 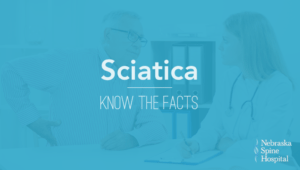 The term sciatica describes the symptoms of leg pain and possibly tingling, numbness or weakness that originates in the lower back and travels through the buttock and down the large sciatic nerve in the back of the leg. Sciatica is not a medical diagnosis in and of itself – it is a symptom of an underlying medical condition like a herniated disc. 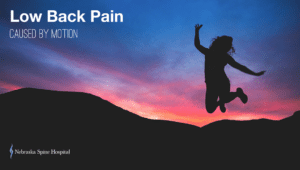 You may be thinking, “How on earth can motion cause low back pain? Weren’t humans designed to be in motion?” Well, yes, humans are meant to be active. But like all well-built machines, sometimes normal use leads to wear and tear. We’re not, by any means, telling you that in order to be free of low back pain you must remain motionless. Should I See A Doctor For My Back Pain? 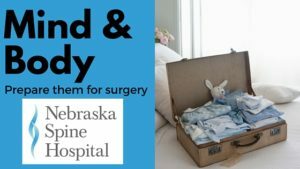 Holiday Inn Express Cherry Hills and Nebraska Spine Hospital are partnering to offer a special rate of $72 per night to our spine surgery patients and their families. Our surgery patients can make a reservation at the Holiday Inn Express website. The big day will be here before you know it: surgery day. This day is an important day and you’re likely feeling pretty anxious. Don’t worry, there are some things you can do to help prepare yourself for the best outcomes. Some of these things should happen far in advance while others can happen just a few days beforehand. 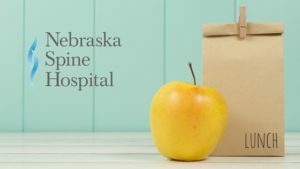 Nebraska Spine Hospital is proud to recognize the unique contributions of Heidi Hiltbrunner and Page Nevins as certified nurses in observance of Certified Nurses Day on Tuesday, March 19. Tai Chi is a form of exercise that is often referred to as meditation in movement. It embodies three main components: movement, breathing, and meditation. 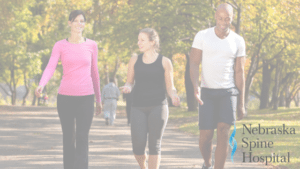 In practice, it consists of slow, deliberate movements of the body that involves more movement than yoga, but is less jarring than traditional aerobic activities like running. 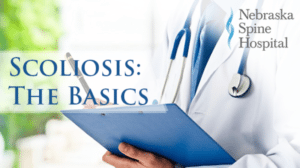 Our patient resources include FAQs, a glossary, information about billing, and variety of helpful information and links. See more videos from NSH here. How do spine surgeons use the O-arm for better outcomes? 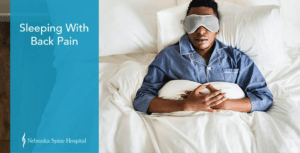 How do I prepare to recover at home after spine surgery? 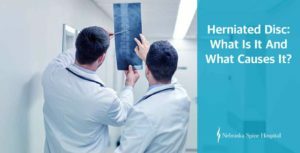 Why is a spine specialty hospital a better model?